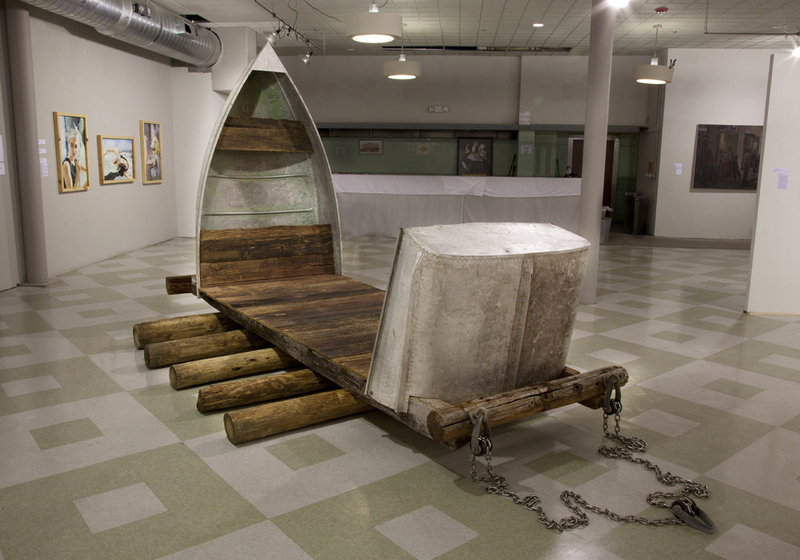 Interesting things arrive when artist David Peck parks his truck on the Museum entryway. 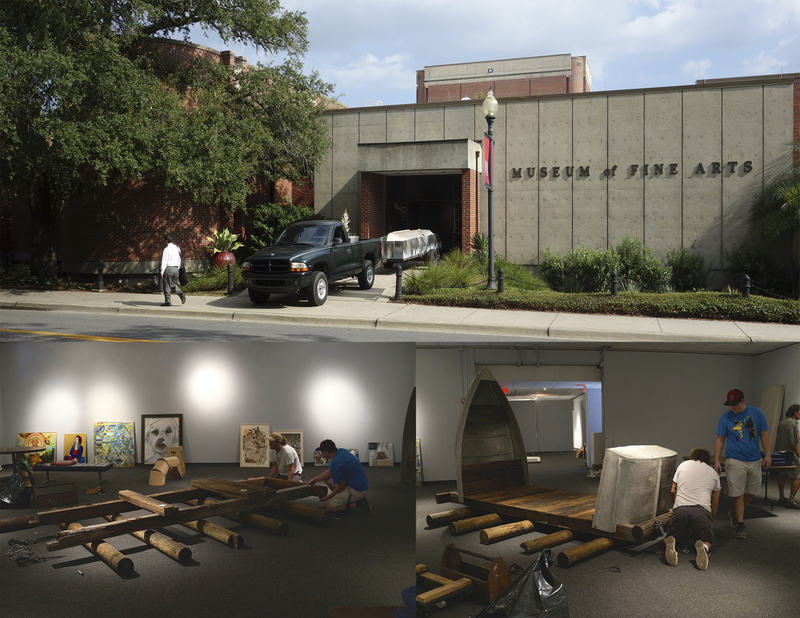 Peck delivers and installs his mixed media work Rollaway, 2013, wood, aluminum, steel, 96 x 106 x 180 inches for the 2014 Tallahassee International. In the early days, MoFA’s fine art competition was not only not international, it wasn’t even national; the annual showcase was begun at the University’s Four Arts Center, an outreach location that was a philanthropic experiment by the Rouse Company, the developers of Governor’s Square Mall. In the early ’80s, jurors had to look at fuzzy 35mm slides in endless carousels in order to select an exhibition. Fast-forward 29 years and what started as a way to involve regional artists has become an annual competition of the Museum of Fine Arts that is juried by faculty from the College of Fine Arts. While the competition is open to artists worldwide, artists now submit up to two works of art electronically and in the medium of their choice. Competition Coordinator and catalogue editor Jean Young states that Associate Professors Carrie Ann Baade and John Mann reviewed the works of 280 artists to select the 46 works for exhibition this year. The pieces chosen represent a wide array of contemporary work, encompassing all art forms from traditional to unconventional.